Ballroom Fit is your Best Friend to help you improve fitness and posture, and exercise both your body and mind to great music. The objective is to move to music and have fun using recognised Ballroom Dances. The routines are simple for all levels of participants and repeated each week so you can enjoy the exercise and music. The classes include Waltz, Tango, Foxtrot, Quickstep, Barn Dance, Charmaine, Evening Three Step, Gypsy Tap, Cha Cha Cha, Rumba, Samba and Jive etc. 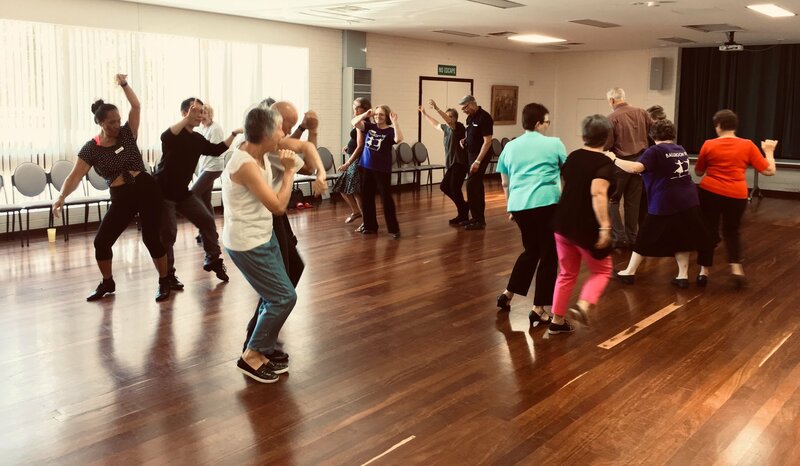 The instructors, like you, love to dance and share their joy and knowledge of Ballroom Dancing with you, tips and technique are included in the classes. The Basics of Dance is Rhythm. Our music will motivate you and distract you so before you know it you’ve had fun and done an hours exercise.